“Wahzhazhe” an Osage Ballet will again grace the Oklahoma stage. The Osage Ballet will hold six July performances of “Wahzhazhe, an Osage Ballet,” at two Oklahoma venues — Miami and Skiatook. Three performances will be held at the Skiatook High School: July 18, 19, at 7:30 p.m. and July, 20, at 2:30 p.m. at 1000 W. 4th St., Skiatook, Okla. In addition, there will be three performances at the historic Coleman Theater in Miami, July 25, 26, at 7:30 p.m. and July 27, at 2:30 p.m. at 103 N. Main St., Miami, Okla. 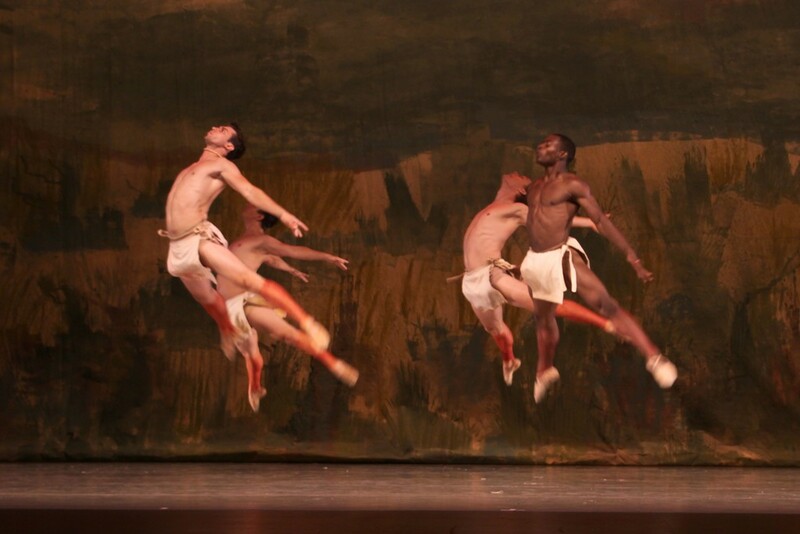 The director, Randy Tinker Smith, made the decision to hold these summer performances following the warm reception by audiences in 2013 at the Tulsa Performing Arts Center, Bartlesville Community Center and the Smithsonian in Washington, D.C.
Smith said that the ballet “Wahzhazhe” tells the story of the Osage people from their first encounters with European visitors to the present day. Called the “Masters of the Battlefield” and sometimes referred to as the happiest people in the world, the Osage people monopolized trade because of their organization and order. Highlights of “Wahzhazhe” include: the Osage’s journey to Oklahoma territory, their wealth through the discovery of oil in the minerals estate, and the manner in which they now walk in two worlds. The Osage Ballet operates under the Arts and Humanities Council of Tulsa, 101 E. Archer St., Tulsa, OK 74013, as a non-profit organization. Tickets are available at to door for $10 for children and seniors and $12 for adults. For more information, or to make a donation, contact the Osage Ballet at 918-704-4668 or via e-mail at osageballet@gmail.com. Donations to the Osage Ballet may be mailed to: the Arts and Humanities Council of Tulsa at 101 E. Archer St., Tulsa, OK 74103. Visit the Osage Ballet Facebook and the website at: http://www.osageballet.com for photos and updates.